I hope you find these FAQ's helpful. If you want to learn more about mediation, whether in Chicago, Cook County suburbs, DuPage County or Lake County, please contact me. No mater how long you've been together, divorce is the death of a dream shared. Despite the anger and fear that accompanies divorce, many couples find that the conflict can be minimized by the use of a neutral third party (a mediator) who helps couples work out the terms of their own separation and divorce agreements. Parents are more knowledgeable than anyone else about their own children's needs. Therefore, you and the courts prefer that parents make the decisions on those issues effecting parent-child relationships. Mediation provides the parents a structured setting so both parents can work together to maintain these relationships. Studies show that families that mediate their differences have a substantially better after-divorce relationship than families that litigate their differences. Mediators use a variety of negotiating techniques to help spouses reach a mutually agreeable solution to their differences. The couple controls how and when decisions get made rather than attorneys and judges. Mediation is faster. In a traditional court setting, trials can stretch for many months or even into years. The traditional approach to solving legal disputes eats-up your time and money with abandon. A typical legal case goes through an initial stage of informing your lawyer of all the things you know about your case. Then, the case goes through a discovery stage, when your side finds out what the other side knows. This second stage can involve requests for documents from the other side, subpoenas for documents from financial institutions and depositions of witnesses. Finally, the lawyers prepare for and conduct trial. After trial, either party can ask the court to reconsider its decision and then, appeal to the appellate court, and then to the Illinois State Supreme Court. Even a typical divorce is likely to cost each party $5,000 to $10,000 and six to twelve months, if they settle quickly; $10,000 to $20,000 each and over a year with discovery; $20,000 to $100,000 each and two to four years if you go to trial. Mediation is for couples who want to retain control over important legal decisions that affect their lives and the lives of their children. A trained mediator helps the husband and wife work out alternatives and solutions geared to the specific needs of the family. Mediation is NOT a substitute for the services of an attorney. Instead it puts decisions-making in the hands of the couple and the legal implementation of those decisions in the hands of an attorney. However, if you choose, you can have the Mediator draft most of the documents for you. Mediation is never binding by itself. Only a properly executed settlement agreement which is the outcome of the mediation is binding. One of the advantages of mediation is that it is confidential. The emotional and perhaps embarrassing issues that are raised in divorce and child custody difficulties will be kept private, as opposed to a trial where all of the proceedings are part of the public record. Mediation is successful in a majority of cases. If you have a lawyer, the mediator will notify your lawyer of the terms of your agreement. Your lawyer will provide advice and counsel and present the final agreement tot he Court. The court will then enter an order, reflecting the joint decision reached by you and your spouse. 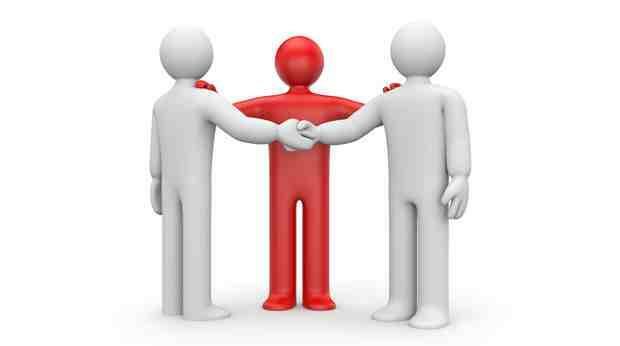 If you do not have a lawyer, the mediator can daft the mediation agreements. You can choose to have an independent lawyer review the agreements, and a good mediator will advise you to do this. If you don't reach an agreement, you can still go to court. You do not give up your right to litigate your dispute. What has occurred in mediation is confidential and is not admissible in court or through discovery, so you have the luxury of starting fresh as if the mediation had never taken place. In a court ordered mediation, the case will return to the court for a decision by the judge if the two parties cannot come to an agreement. I work to accommodate your particular situation, in large measure because I believe that mediation can work for you, and at the very least, you should try mediating. Please note that while I can answer general questions about the process, I cannot discuss case facts with only one of the parties, without the other party being present. Please use the contact form to the left, or, have each party complete my Mediation Questionnaire here .